The Buffalo Systems DP Mitts are a classic. They keep your hand warm and dry in the foulest weather, they pack down incredibly small and weigh next to nothing. Whether you are walking into a Scottish winter route, trekking the Pennine Way or watching your local team on a Saturday afternoon everyone should have at least one pair in their kit bag. very warm mitts. if you suffer with cold hands buy buffalo mitts. FACT. The only gloves that can keep our hands warm in the freezer at -22 ! believe me we have tried lots of gloves even winter motorbike gloves at £80, nothing beats these. I Ordered The Hi vis mitts for snow mobile guiding in the Arctic. I have been guiding here for 5 years. I am constantly looking for a mitt I can have maximum warmth with and still use my hands to work with. 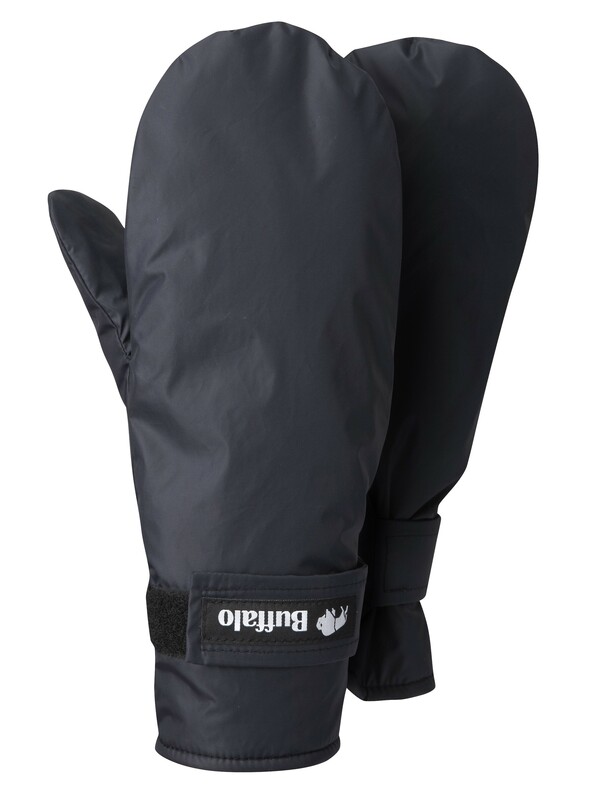 I have been using the mitts for snowmobiling in typical temps of around -20c and they have performed really well. I have used the mitt at -30c with a wollen mitt liner and I was toasty warm all day. To sum up If you want something light and warm look no further. I am now really tempted to purchase a mountain jacket as a mid layer and for spring snowshoe and cross country ski trips. I took these mitts to the Lakes, with several other gloves, for a winter expedition over several days. They out performed all the other gloves, including the so called waterproof ones, and kept my hands warm and comfortable in some wild conditions that included horizontal rain, hail and snow. Even when wet they were warm, and unlike my waterproof gloves, they can dried out quickly and were ready to use again the next day. Light, simple and very effective, thank you Buffalo! I suffer from getting very cold hands very easily and have spent a lot of money on various glove / mitt solutions to find the perfect cycle touring glove / cold weather riding glove. I discovered these mitts a few years ago and without a doubt these are the best mitts out there. Non bulky and yet superbly warm. Couple them up with a pair of normal cycling gloves for when it gets very cold and you are good to go. They weigh next to nothing, are very well priced, quick drying, keep your hands warm even when wet/damp and to be honest with you I do not have a bad word to say about them. Believe the hype and get yourself a pair. In fact buy two and you are sorted for even artic weather conditions. I have owned a few pairs of buffalo mitts over the years and I am very impressed by the Hi Viz with reflective trim pair I purchased a couple of months ago. VERY highly recommended. Overall: very good. See below for advice and details! 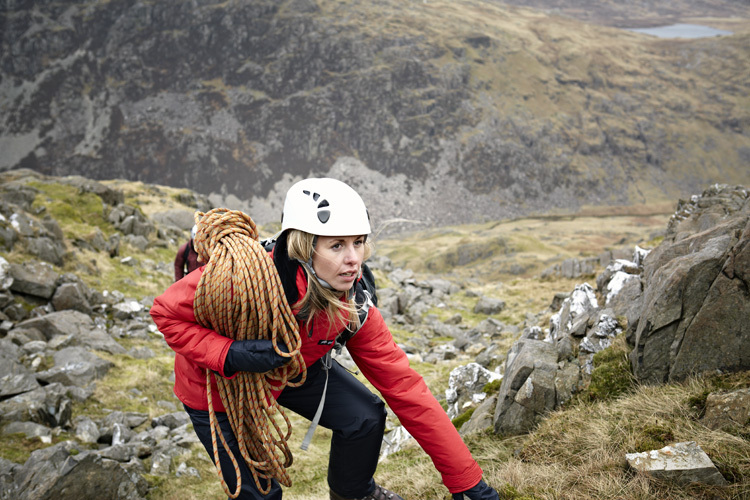 So, these are very warm gloves provided that you fit them properly – they need to be snug but not tight: I’d suggest paying attention to the knuckle area (especially if you’ll be holding walking poles or other equipment which will potentially result in compressing the pile around there and reducing warmth). You don’t really need liner gloves with these – if you want to use any then consider a pair that wick well or are warm when damp. As they’re mittens your dexterity with them on won’t be great – they also seem to have a slightly peculiar fit around the base of the thumb for me. They have no coated palms for grip although if you don’t care about the warranty you can coat them yourself. Would like to see Buffalo offer a leash option or a reinforced hole to thread your own – they need to come off for some more fiddly tasks but they’re so light the wind catches them easily. When wet they are warm, thanks to the wetsuit-like effect the pile gives, which is just as well as they aren’t waterproof. Got these heavily saturated up Snowdon in driving rain – weren’t cold but felt a little heavy and damp where pressure was put on them. They dry very quickly but do take a spare pair of gloves to use whilst these dry if you think there’ll be rain. They should get to a useable state again within about 10-20 minutes under your jacket and close to your body if you’re moving around. These plus silk liner gloves (to get the fit snug) are the quickest my hands have ever warmed up – let them get way too cold but was left impressed and thankful. I ordered the Hi Vis mitts as I cycle in Scotland. I took them for their first outing to Finnish Lapland this month. Temps were below freezing down to around -10 plis wind chill for the week. I used them while cross-country skiing and snow shoeing as well as general out and about gloves. I had warm hands all the time. The only time they got wet was in driving snow and when I put the gloves on when and I had snow on my hands. They dried very quickly. I could also operate my digital camera as the gloves are thin enough to operate the switches. As they are not bulky it is easy to slip in and out of the ski pole straps. I had another pair of thermal gloves with me which were more expensive and bulkier so I ended up just using the Buffalos. I ordered the cycle shirt too and wore it in Lapland but chickened out and put a base layer underneath. I shouldn’t have bothered, I was roasting and had to vent using the zips. Great products and highly recommend. Reply to Jay Ellis from Buffalo. We are going to be creating a loop on the Mitts so you can then attach your own leash, if required. By having 2 pairs of Buffalo Mitts, you can wear one pair while the other pair are dry in your hand warmer pocket, and then just swop them over when required. Thank you for the comments Jay. Commuting in a Canadian -30, these are the only mitts that work! Below-20 I need a liner but then I am good! Oh but also, I’d love to see buffalo do these with a reinforced option so they’d last better. I used them cycling but also ice climbing and cross country skiing on the coldest days as they are my warmest glove and they are pretty worn. My next pair I will try to keep for hiking…or maybe I’ll meet modify a pair! I highly recommend these mitts. I bought a kids pair back in the 90’s after getting really cold hands up on Kinder in the snow with my Dad and Uncle. They have been passed down to my brothers, multiple cousins and are currently loaned out to a mates kids and they still have plenty of life left in them. Now I have a pair in XL and still love them. Great for Scottish winter mountaineering, they are light (XL~90g), warm and dry fairly quickly. I’ve even taken them backpacking in May, good for first thing in the morning if it’s chilly when making a brew and packing up camp.